Elegant Escape Villas selects apartments and villas in Italy and specifically in Amalfi Coast with the well known town of Sorrento, the enchanting towns of Massa Lubrense resort, the marvelous Positano, Amalfi, Ravello. 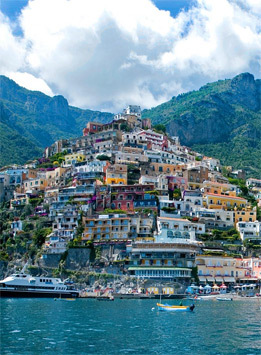 Or in front of the Gulf of Naples we can admire the beautiful islands: Capri, Ischia, Procida. Our collection of villas and apartments to rent in Italy have been hand-picked and chosen for their originality and elegance. These fabulous villas and apartments assure you a holiday of a lifetime, whether it be a villa or apartment on the Amalfi Coast and guarantee comfort, privacy and relaxation during your holiday. Booking is easy, you can use the search section or choose the location you are interested in directly from the menu on the left. Once chosen the villa or apartment that you prefer you can contact us by posting a query, through the “information request form” in the section contact us or “post a query” in the description of the villa or apartment available on the site. It is possible to request availability of more than one accommodation. We will be happy to help you to find the best solution to all your needs. Our main objective is to satisfy your requirements with solutions that will make your holiday in Italy a unique and memorable experience. Our location are the most beautiful near Naples. 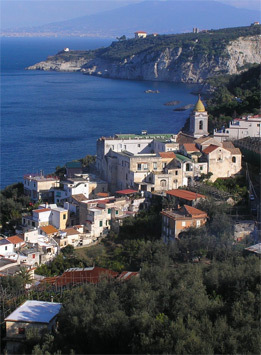 The peninsula is named after its main town, Sorrento, which is located on the northern coast. 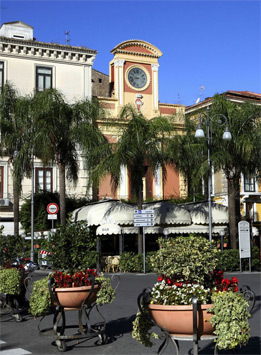 Sorrento is a small town in Campania, southern Italy, with 16,500 inhabitants. 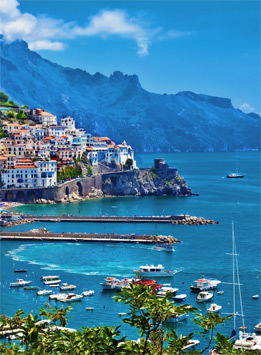 The Amalfi Coast is a stretch of coastline on the southern side of the Sorrentine Peninsula of Italy (Province of Salerno), extending from Positano in the west to Vietri sul Mare in the east. Nestled in the mountains, surrounded by rich Mediterranean vegetation, Positano is so picturesque as to seem a spontaneous stage setting.